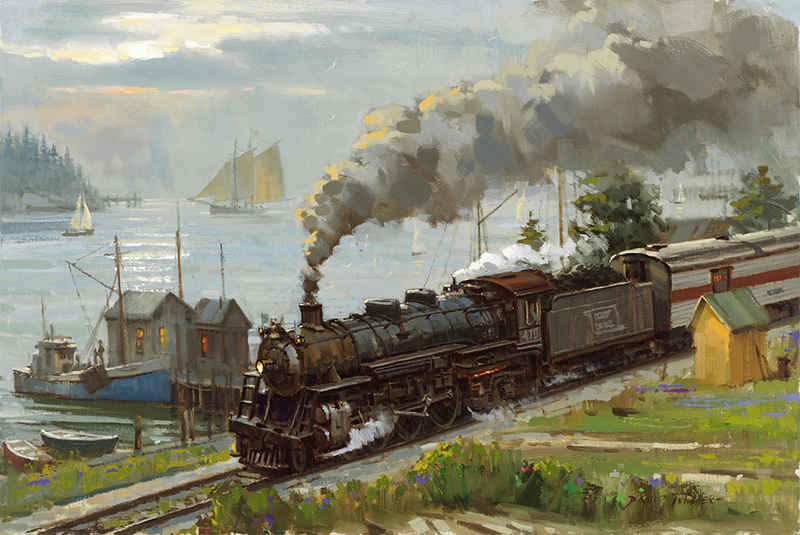 The paintings were made to support the 470 restoration, and give life to the locomotive's capabilities. 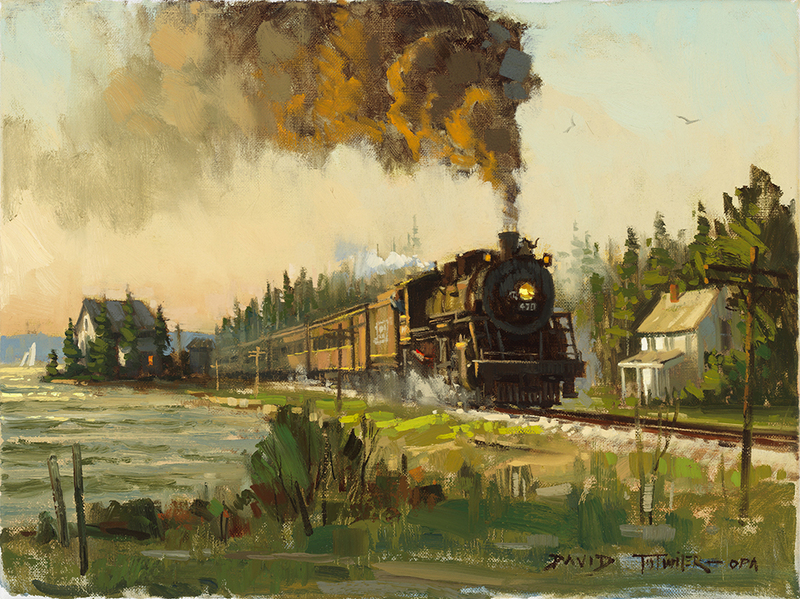 David Tutwiler is recognized for his highly detailed locomotive paintings, and is a regular participant at railroad shows around the nation. His gallery and the availability of his work can be seen at TutwilerFineArt.com These paintings will be on display in the Acadia Invitational Part II exhibition, opening June 1st at the Argosy Gallery in Bar Harbor ME.